On next Tuesday, October 12, Carolina will celebrate its 217th birthday as the oldest public university in America. I hope you will consider joining the celebration at 11 a.m. in Memorial Hall. It is an opportunity to dress up in your “funny costume,” which is how my oldest son described my academic regalia one year. Faculty members are encouraged to wear their costumes and line up at the Old Well at 10:30 a.m. for the processional into Memorial Hall. In the event you don’t have the necessary regalia, you are welcome to join the parade anyway. This event is in no way limited to faculty. Two staff members representing each unit will march in the processional, and others may attend and consider it work time (please check with your supervisor first). The speaker this year is Dr. Heather Munroe-Blum, an administrator from McGill University who will talk about innovation and entrepreneurship. Those are the themes for University Day this year, and it is clear that both will be emphasized at Carolina in the coming years. This is an opportunity to learn more about them. We have another good reason to celebrate this year. 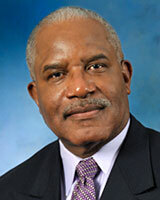 Harry Jones, the Mecklenburg County Manager and MPA Class of 1974, is receiving a distinguished alumnus award. He is very deserving. Harry joins Richard Knight, Jr. as the second award recipient from our MPA Program. Richard received the award in 1988. Other School of Government recipients of the Distinguished Alumnus Award include William McWhorter Cochrane (1978); Paul Alexander Johnston (1980); Terry Sanford (1993); and John L. Sanders (1998). Visit the University Day website for details on the morning’s events. The MPA Program will host a reception honoring Harry at 4:00 p.m. on October 12 in the Atrium. Everyone is invited to join in congratulating one of the School’s own on his public service leadership. I hope you can be there. Traci Forchette and Jennifer Henderson will represent the School in the staff processional. Thanks to Jennifer and Traci for participating in University Day.